What are the uses of virtual meetings in an organization? What are the advantages of holding virtual meetings? What are the advantages of working remotely? What are the challenges of the remote working setup? Virtual meetings enable individuals and companies to interact with one another regardless of their current location or difference in time zones. These meetings are usually done in “real-time” through a video-teleconference software or service where participants can use video, audio, or text formats in exchanging information. Since it lets people share ideas or collaborate with one another without having to be together physically (saving them time and travel costs! ), virtual meetings are constantly used in conducting business. Teleconferencing – As the name suggests, teleconferencing involves various parties meeting through a telephone conference line. Another term used for this type is conference calling. This kind of virtual meeting typically consists of 20 participants or less making it ideal for small group gatherings. However, there are instances where a teleconferencing session may involve large volumes of participants, making it into what is referred as a large conference call. 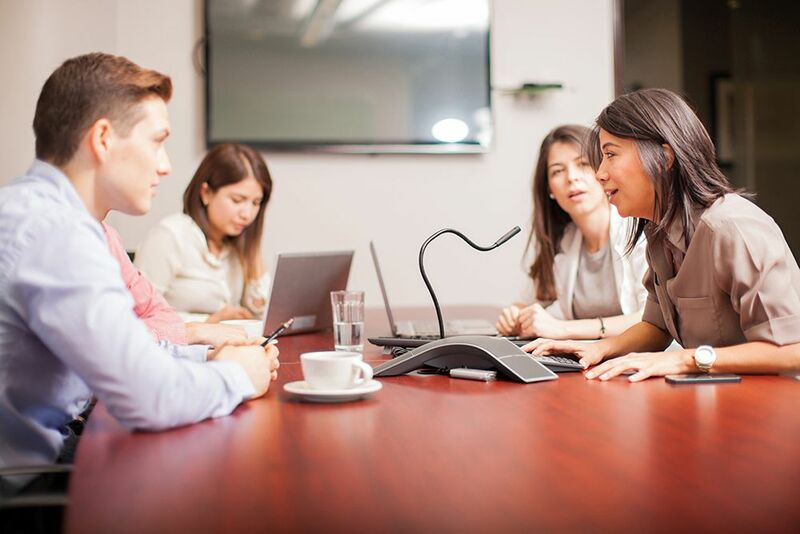 The use of conference calls is convenient since it provides individuals the chance to share valuable information with one another in a less costly manner. Video Conferencing – Unlike teleconferencing, video conferencing includes a face-to-face feature through video. This kind of virtual meeting may involve two or more participants using not only computers but also other mobile devices, making it a pretty good medium for staying in touch across teams. Web Conferencing – This type of conferencing requires participants to connect through the internet. The users will be required to be in front of their respective desktops in order to join. Some people often mistake web conferencing to be the same as a webinar, which is not the case. A webinar is a word play between “web” and “seminar” and is a type of web conferencing where a host’s main goal is to educate and most likely present with accompanying visuals. A difference between the two would be the fact that communication in webinars can be restricted to one-way only. 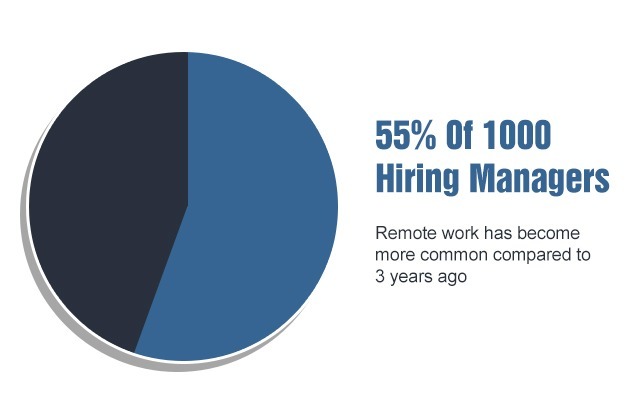 According to Upwork’s 2018 Future Workforce Report, 55% of 1,000 hiring managers agree remote work has become more common compared with data from three years ago. Multiple companies have started to be more comfortable in hiring remote employees which, in turn, make virtual meetings a necessity. Since remote employees typically work from their homes or reside far from the office, exchanging important information through physical meetings have become impossible. This causes companies to look for an alternative that is just as good – virtual meetings. Due to continuous technological advancement, virtual meetings are now in equal footing with physical ones. Some businesses have even opted to meet online because it is cost-effective and convenient. Professional firms such as Finance, Law, Healthcare, etc. These sectors use this type of meeting in order to hold group discussions, job interviews, training sessions, focus group studies, and the like. One of the main reasons they do so is to cut back on travel and operation costs as well as more effective time management. 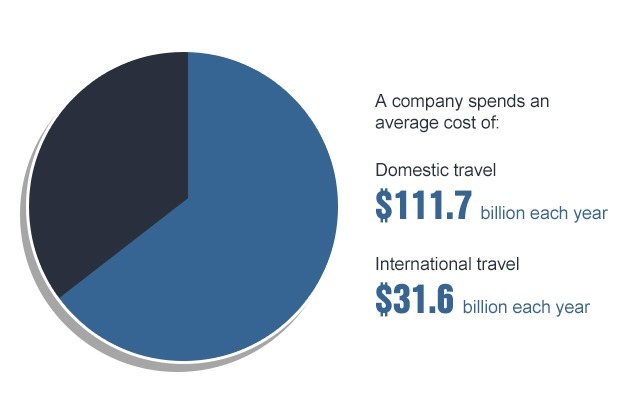 According to data gathered by Certify, a company spends an average cost of $111.7 billion each year for domestic travel and about $31.6 billion for international travel. This doesn’t include the miscellaneous fees that would be used for lodging, meals, car rentals, office supplies, shipping, etc. Most travel expenditures are used for meetings with different companies or branches located in another state or country. Through the use of virtual meetings, expenses like this can be avoided and used in other areas that would further improve company efficiency. Working in a company means dealing with deadlines. Unfortunately, the time that could be spent working is sometimes used in attending traditional meetings. Looking for a venue, organizing the necessary files, and making sure that all attendees will be present takes longer than necessary causing a decrease in staff productivity. The time spent doing all these things is better off being used to do actual work. Virtual meetings help eliminate this problem as it is easier to set-up and can be done anywhere as long as they have the necessary equipment. 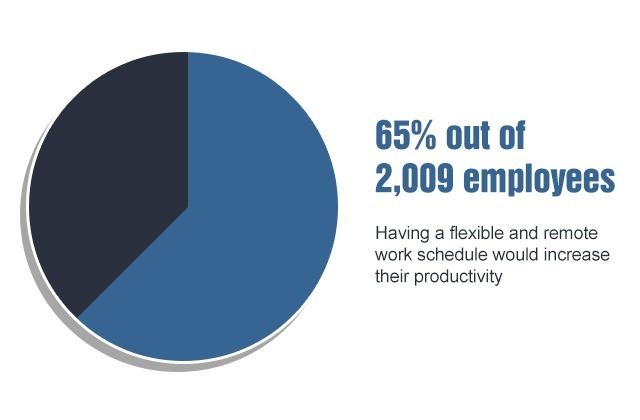 According to the 2016 State of Workplace Productivity Report by SurePayroll where they surveyed 2,009 employees, 65% answered that they thought a flexible and remote work schedule would increase their productivity. One of the reasons for this speculation might be due to the fact that virtual meetings are mainly used with remote work. The time that would be spent organizing physical meetings is eliminated, hence, increasing the time spent to do actual work. Additionally, information sharing is made easier since participants are able to do video presentations online using PowerPoint. They may also utilize screen-share and files can be made downloadable so sending them through email is not necessary. This, in turn, speeds up decision-making so deadlines can be met. Aside from these three main advantages, virtual meetings are able to increase engagement between remote employees so they wouldn’t feel disconnected with the office. Companies which support office and remote workers will also experience better collaboration since they are able to interact with each other as well as hold brief meetings about future plans and goals. Remote workers are generally individuals who work from home or anywhere that is not considered a traditional office. Depending on the job’s nature, these employees might be required to visit the office from time to time or, if they reside in another district or country, they may stay purely at home. As for employees who live in the same prefecture who may or may not have some on-site work, they are commonly called telecommuters or teleworkers. 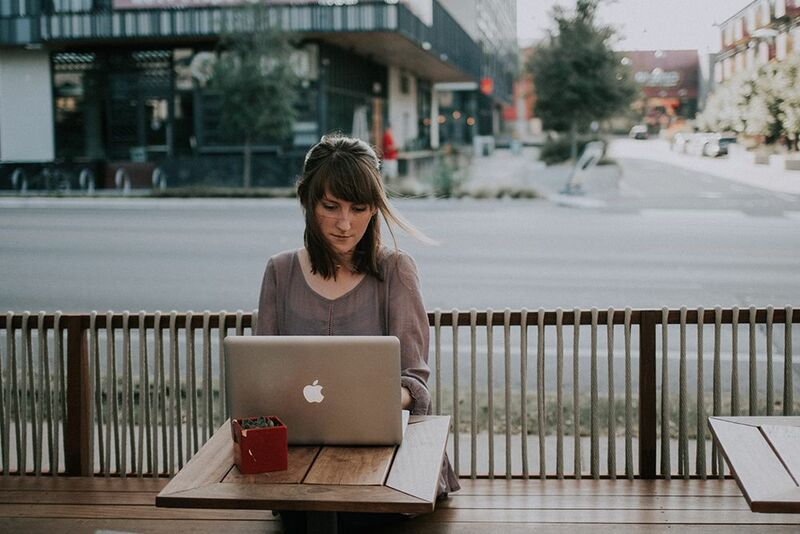 Nowadays, communicating with remote workers have been made easier — they can communicate either through email, telephone, or, if necessary, video conferences. More and more companies have opted to hiring remote workers due to the benefits that they bring. Consequently, a lot of job seekers are enticed with the idea of working at home especially for those who hold great importance in maintaining a good family and work-life balance. Other reasons for its sudden popularity include avoiding the daily commute, saving money, preventing a stressful schedule, or simply because they want more flexibility. Examples of businesses that have successfully utilized remote workers are — Accounting, Tutoring, Customer Service, and Transcription. When ensuring that an employee would be productive, it’s important to note if they are satisfied with their work condition. 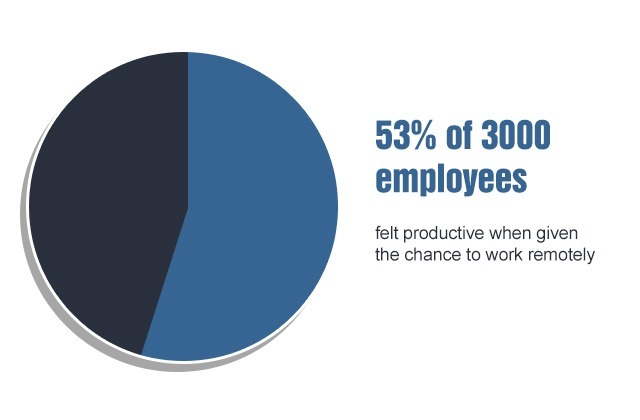 According to a study where they surveyed over 3000 employees worldwide, more than half of the respondents who were able to do remote work felt more happy and productive in their jobs. A report by Global Workplace Analytics stated that a company would save over $700 billion a year if 50% of its workforce worked half at home and half at the office. 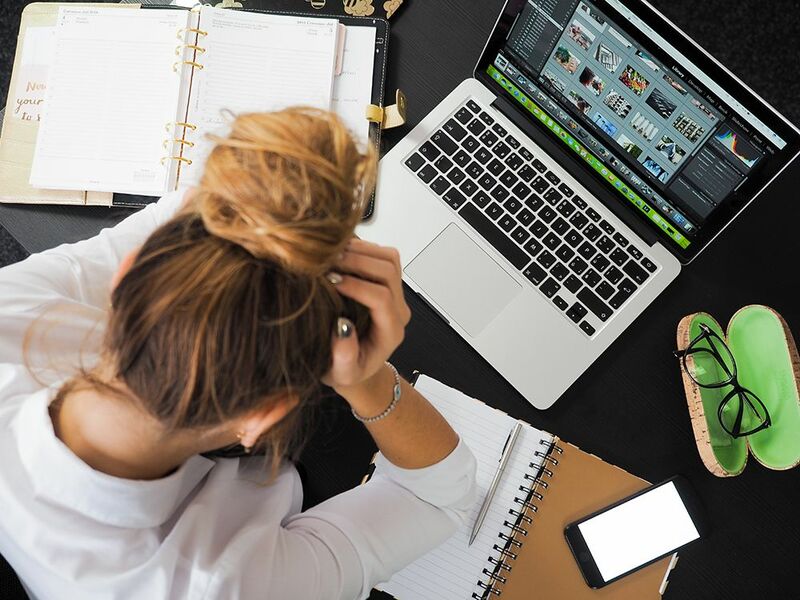 Office employees tend to cost more than remote workers since they require space and a lot of the company budget is spent in rent, electricity, travel cost, office supplies, equipment, and other necessities. This doesn’t include the loss of company savings every time a sudden absence occurs or when an employee decides to quit. By hiring remote employees, businesses are given the advantage on cutting back from expenses used on periodic maintenance, security, furniture, rented parking lots, equipment such as computers, coffee, water dispensers, etc. Companies who have switched to hiring remote workers have experienced a boost in productivity for they discovered that employees are more willing to work overtime given that they could work wherever and whenever they want. There’s also the argument that remote employees are able to focus more since distractions that are commonly experienced in an office setting are avoided. 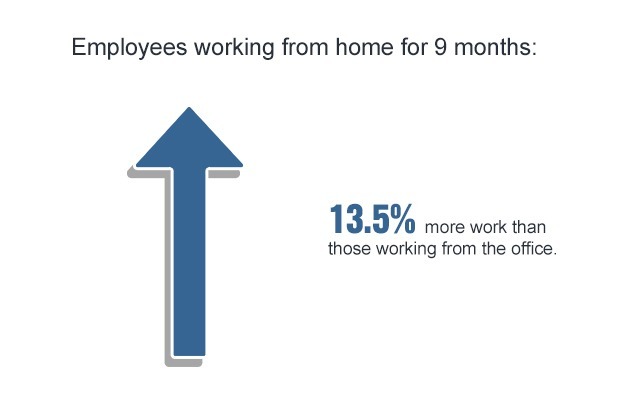 In a study conducted by Nicholas Bloom and Ctrip, a Chinese Travel website, employees who worked from home for nine months were able to do 13.5% more work than those working in the office. Bloom explained that this productivity increase was mainly due to having a quieter environment. As for other reasons, it was deduced that remote workers worked more hours as they started earlier, had shorter breaks, and worked for the whole day. The time that would be spent commuting to work has also been eliminated. As stated in the 2018 Future Workforce Report, hiring managers experienced more difficulty hiring people in 2017 compared to the previous years. Just relying on looking for prospect employees in one geographic location might prove to be disadvantageous for certain businesses. Furthermore, there’s a lower possibility of hiring people who are either disabled, senior citizens, or parents looking after their children, since they are not able or are too busy to apply for a job. By being open to hiring remote workers, the pool for talented workers is further expanded and cultural diversity can be achieved. In addition, a survey held by the Bureau of Labor Statistics (U.S. Department of Labor) on 2017 stated that employees with an advanced degree were more likely to work at home than people with lower levels of educational attainment — 46 percent of those with an advanced degree performed some work at home, compared with 12 percent of those with a high school diploma. 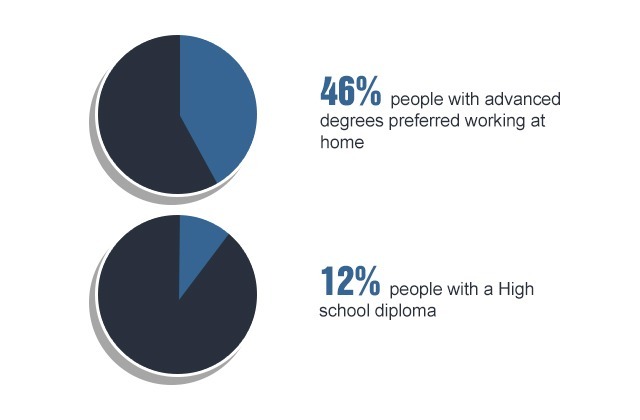 Workers with an advanced degree were also more likely to work on an average day than those with a high school diploma. Another benefit that comes with hiring remote workers is a decrease in unscheduled absences. Working from home gives them the ability to schedule appointments without worrying about losing a day of work since they control their work hours. They are also more likely to work even when they’re sick and the risk of infecting other employees is removed. 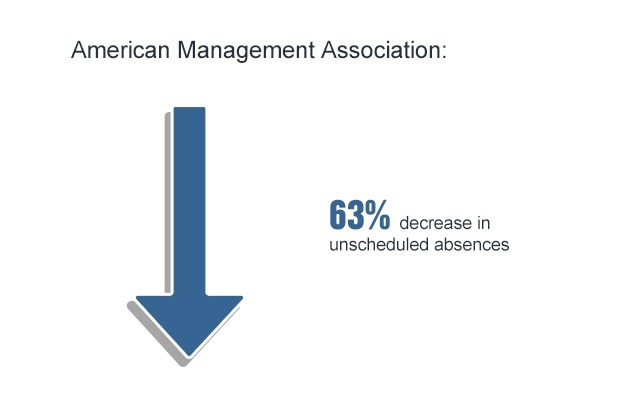 This benefit was proven by the American Management Association who experienced a 63% decrease in unscheduled absences after allowing employees to work from home. Recruiting after someone leaves the company costs money since this includes training for the new hire as well as the unavoidable setback in company plans due to a lack in personnel. According to analytics, 95% of companies believe that after implementing remote working, it had a high impact on employee retention causing it to decrease. One of the main challenges faced when managing a remote team is the lack of communication either between the employer and the employee or between an employee and his/her colleagues. Since remote workers typically live far away from the main office, it is inevitable that they would miss out on physical meetings. Due to this, employers are unable to supervise or keep track of their work. Moreover, remote workers can’t help but feel disconnected or isolated from those working inside the office. A way to resolve this common issue is through the use of virtual meetings. With this, employers are able to communicate with remote workers as well as track their current progress. Since technology has advanced quite a long way, virtual meetings are now at par with physical meetings so this could also help in making sure that remote employees can stay connected and feel involved with their colleagues. Unlike office employees, remote workers are harder to keep track of since they aren’t grouped into one physical space. Moreover, their schedule is more flexible so figuring out their hours is more difficult. 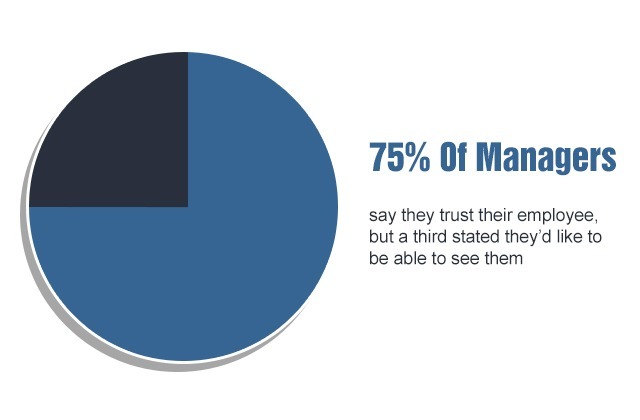 According to data gotten from Global Workplace Analytics, 75% of managers mentioned that they trust their remote employees. However, the remaining stated they’d feel more assured if they were able to see them. This is another challenge that can easily be solved through virtual meetings. Even if the employee resides in another country, the employer can still reach them in order to ask how they’re doing. Additionally, some platforms offer transcription services that can transcribe everything that was discussed so employers can easily document everything. Working with distractions is unavoidable when staying at home especially if they have trouble focusing on work. There are lots of temptations and small distractions which can either be your family (children, siblings, etc. ), housework, gadgets, hobbies, or the urge to take a “brief” walk outside. This causes the remote worker to procrastinate which results to a decrease in productivity. Instead of finishing a one-hour work in the specified time, the worker might take longer. A way to counter this is through the use of time-trackers or tools that help monitor productivity. Through this, companies can see which employees are more productive during their hours. Rewarding top performers with non-monetary benefits can also be a good move as this will encourage them to be more productive. There are a lot of factors to consider when paying a remote worker. The employer has to think about the method of payment, the fees involved, taxes, and for those working in other countries, the updated conversion rates. Different time zones also has to be taken accounted for along with considering the right schedule for monthly payments. In order to solve this, some companies opt for sending payments virtually as this helps keep a record of all the payments made through e-receipts. Using a software that automatically sends payroll two times a month is also recommended. Since remote employees can’t attend physical meetings, employers are forced to reach out to them either through social media, email, or through a phone call. However, some of these options aren’t secure and might be risky especially if sensitive information is being discussed. There’s also the possibility that the employee isn’t alone or in a public place so the information might be overheard by others. Fortunately, as an attempt to battle cyber-crime, conference call providers have made an effort to be more secure. Some services offer features that heighten the call’s security such as unique passkeys, dial-out capabilities, pre-conference rooms, and operator assistance so the host can focus more on the subject at hand. Make sure a call goes smoothly by avoiding all interferences and preventing them from happening. These interferences can either be people talking in the background, a dog barking, television noises, kids playing, etc. This can be avoided by muting all participants aside from the host. This way, participants are able to understand the topics being discussed. A question and answer portion can be held after a discussion in order to give room for participant interaction. Through this, asking questions, providing suggestions, and feedback is made possible so not only is this beneficial for the employee but for the employer as well. Relying solely on conversations might make the participant lose attention and focus somewhere else. Battle this by using various visual cues — images, videos, graphs, and the like. Make sure to compile these in a shared space and make it downloadable. Sometimes, a conference may contain too many participants that the host may find it difficult to handle. Some platforms offer operator-assisted calls so hosts can focus more on facilitating the call and the topics being discussed. As for participants who refuse to cooperate and contribute to the discussion, make sure that an option to remove someone from the conference is available. Aside from conferencing, you can take advantage of virtual meetings by using it to train new hires as well. This is made possible through services like screen-share. Facilitating virtual meetings is no easy matter but with the right knowledge and tools, it can play an important role in increasing company productivity and making sure that remote employees are able to stay engaged and connected with the workplace. Finally! Thank you this is something I needed.